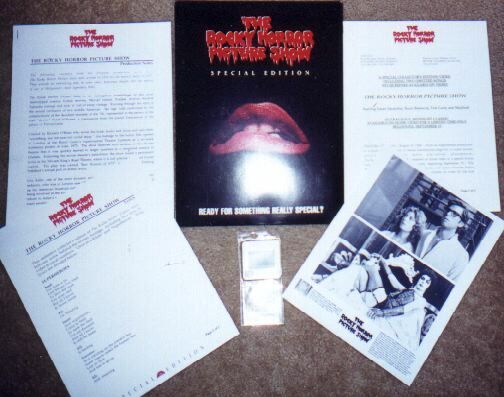 These are some things I found for sale on Ebay and other places. 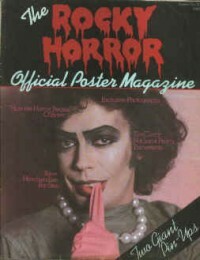 The information here is based on what I have seen collecting Rocky Horror articles for the last 8 years. I don't have any of these things for sale and I don't know where you can get them. 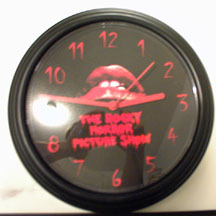 This is only to inform the Rocky Horror Collectors. Once again the values expressed are based on what I've seen and paid personally. Some serious collectors may pay much more or much less for them. 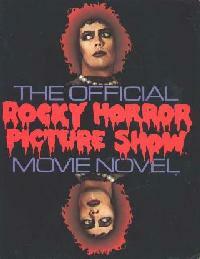 The Movie Novel, filled with good pics. They range is price depending on condition. The AP Guide, Still available for order at book stores. 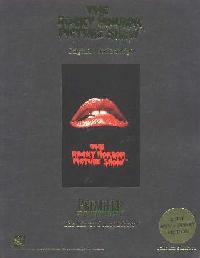 Creatures of the Night I, by Sal Piro, Out of Print. You may still be able to get some from Sal Piro. You can always get them at cons. 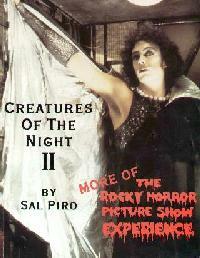 Creatures of the Night II, by Sal Piro, Out of Print. You may still be able to get some from Sal Piro. You can always get them at cons. The Script, Still available for order at book stores. Usually at a Sun Coast Style Store. 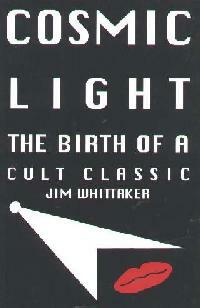 Cosmic Light, by Jim Whitaker, Not rare - still for sale. 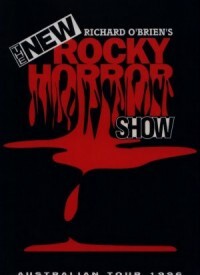 Most Copies of Rocky and ST arn't worth more then $15 *New*. You can find them cheaper. Hell, some places sell them from as low as $9. 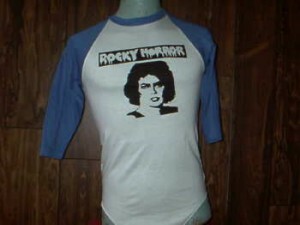 Looking for good Rocky Horror Shirts, Email me and I will get you in touch with Bev. Now *she* has nice shirts! 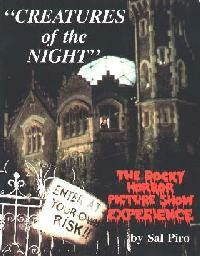 Most Rocky Buttons are made by casts just needing $$$, Dark Refrain sells some good ones. What a novel idea! Give audience members fire. I've seen these before, but I've never seen anyone buy them. (d) Three stapled page news release titled "Outrageous Midnight Classic Available on Home Video for a Limited Time Only Beginning September 15"
(e) Two stapled pages of the lyrics to two new-to-video musical numbers that are on the video: "Superheroes" and "Once in a While." (f) Full-color outer envelope. The only flaws with this package are on the back side of the mailing envelope: Its flap had to be pried up to get at the contents, and doing so damaged the area under the flap. Also, the flap has a postage sticker on it (the postage sticker was split when the flap was opened). I have no info on this, anyone? anyone? There we 2 issues of these cards the first was in the 70's. The second was in the 90's. The U.K. 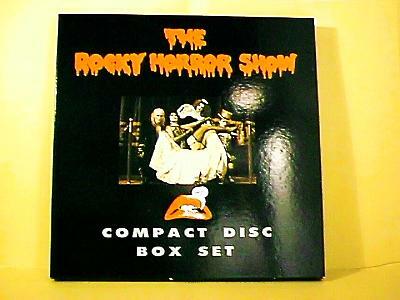 Box Set. 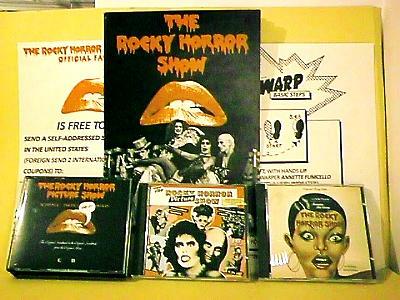 Double Audience Participation CD, Movie Soundtrack and Roxy Cast, Time Warp Instructions and a book. 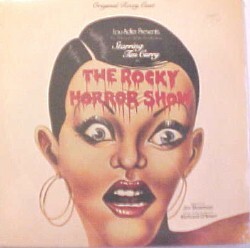 Very hard to find in the U.S.
No real easy to find, Sometimes you can grab one at a con or a record store. Ebay has them every once and a while. I got mine for $15. Mint. Look for these in Used Record Stores. I got mine for $12. Used. 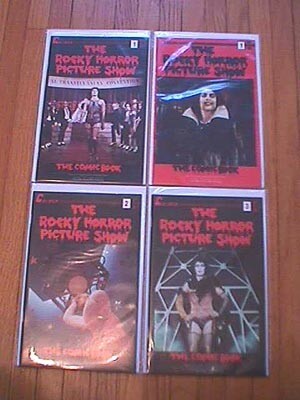 The Rocky Horror Comic Books. Look for these at places like Dark Refrain and at cons. 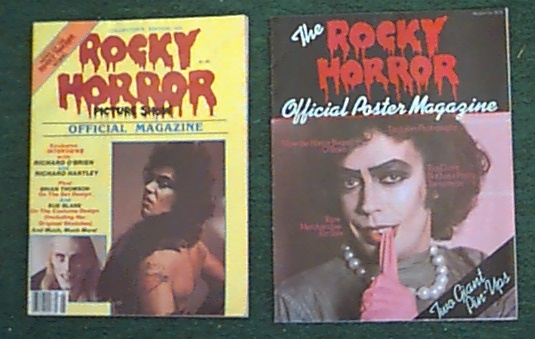 $8.00+ each, More if they are mint. 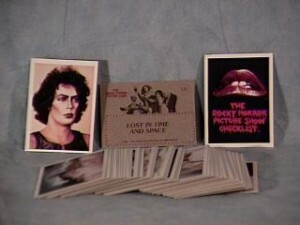 The Rocky Horror Post Cards. 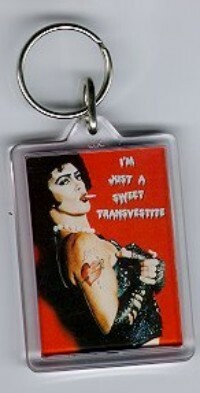 Look for these in places like Hot Topic. Alright... Who's making these? Can you say over commericalization? 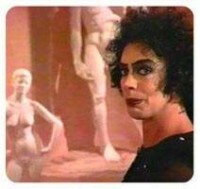 I have no idea. I think someone is making these in their garage. 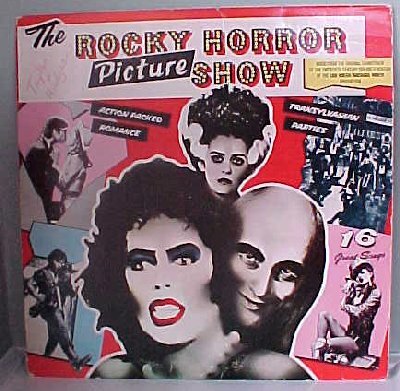 Rocky Horror Picture Disc. 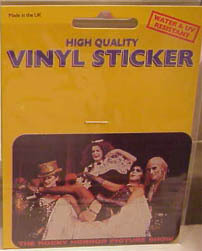 I've seen some pictures discs grab $50+, but the packaging is throwing me on this one. These are not made by Fox. I think these are personally made by someone. I could be wrong. 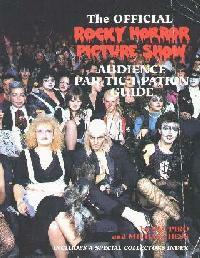 This poster magazine has a picture of Riff Raff on cover and two fold-out posters: one with Frank, Columbia, and Magenta and the other one with Frank and Riff. Whoa.. Now this is cool. 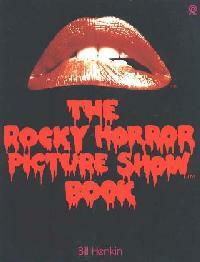 An Austrailian Tour Program. I've seen these on ebay before. Some people grab a pretty penny for these in the states. Box Says, "Endlich! 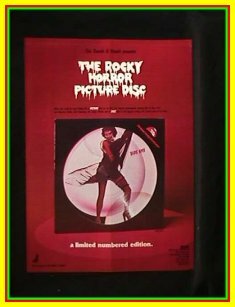 TRHPS Mitmach - Set, Als Video - Kaufcassette"
We know this stuff can be exciting but we want you to know to never take the excitement too far. Pulling pranks of committing crimes can get you arrested by the police.